Starterset für On the seven Seas besteht aus 8 Figuren. Figuren sind aus Metall, im 28mm Maßstab und werden unbemalt geliefert. 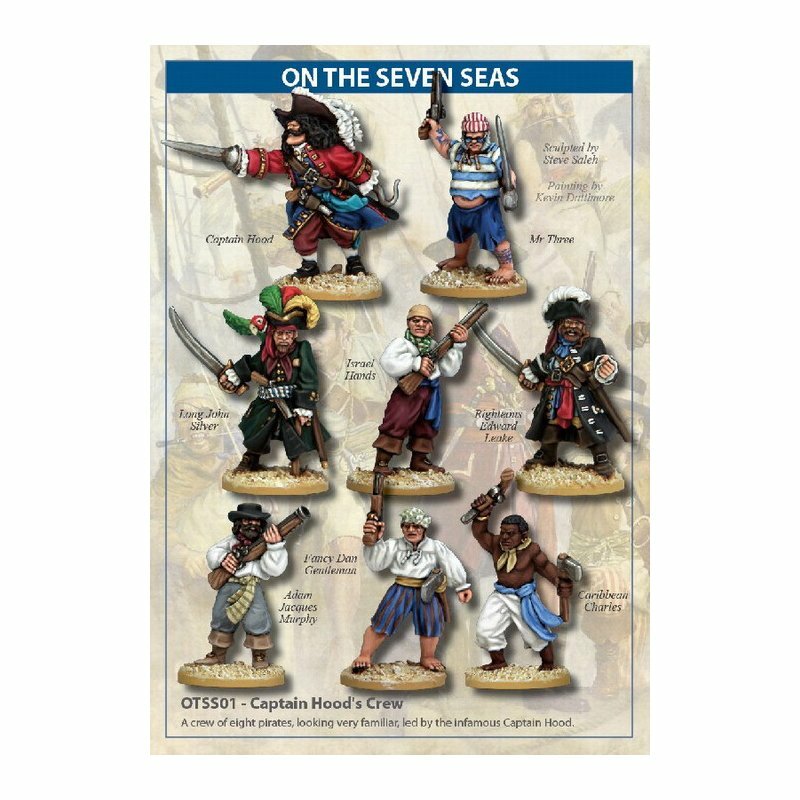 A crew of eight pirates, looking very familiar, led by the infamous Captain Hood. Mate, Mr Three with cutlass and pistol. Long John Silver with cutlass and pegleg. Adam Jaques Murphy with blunderbuss. Caribbean Charles with boarding axe and pistol. Fancy Dan Gentleman with pistol and boarding axe. 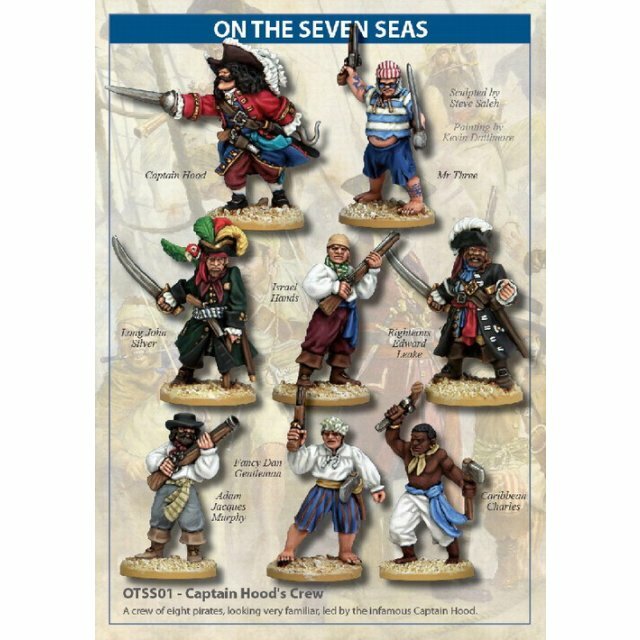 Captain Hood's pirate crew is a licensed box set of figures designed for use with Osprey Wargames 'On The Seven Seas' game of pirate warfare.